Are your children working on their cursive writing? 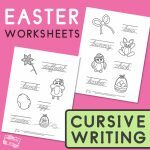 We’ve got a super lovely free printable Spring Cursive Writing Worksheets for kids to practice on. Learning to use a cursive style of writing will encourage your kids to start forming their very own style later on. 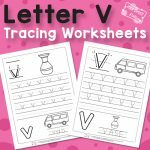 This printable spring cursive handwriting worksheets pack is perfect for kids all the way from grade 1 and up. There are two worksheets in this pack. 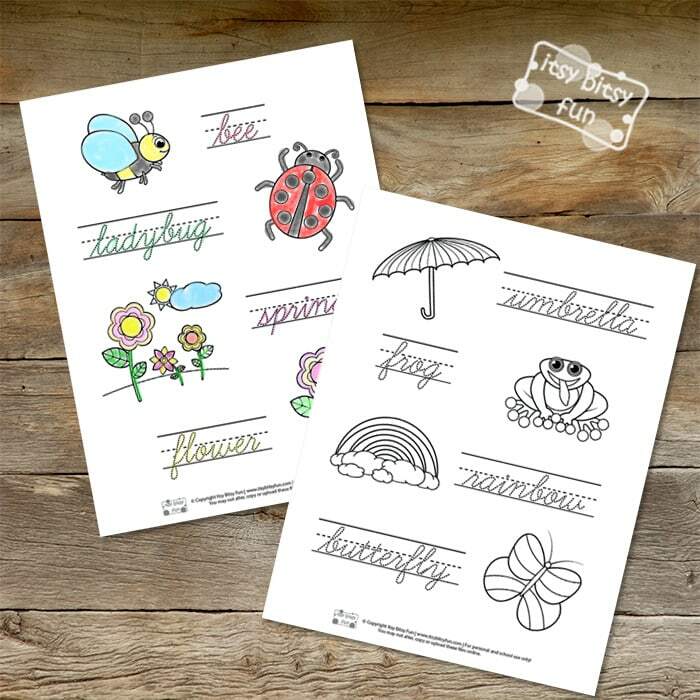 If your kids already did some practice with writing the individual cursive letters, this set will be great to connect them all into one flow. Writing the words in cursive can be tricky sometimes because kids have to “predict” the form of each next letter they are writing. 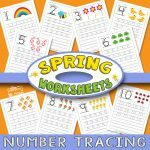 This is why this pack is great – kids will be tracing 8 different spring-themed words and learn how to connect them properly. Because we know learning is absolutely more engaging if young learners have some warm-up, we’ve added a bunch of thematic images for them to color-in. 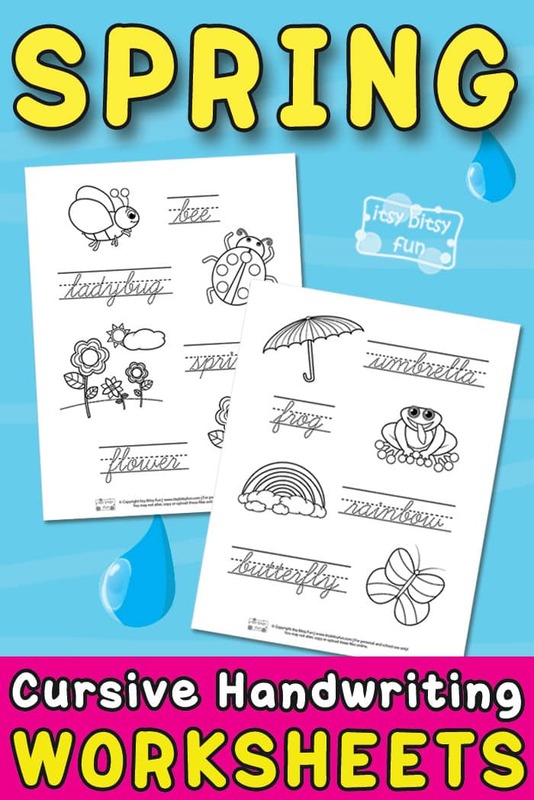 If you want to use these sheets more often, we recommend laminating them and use dry erase markers for writing. 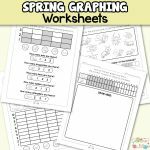 These spring worksheets will surely warm up the little hands in no time and strengthen their cursive writing skills as they practice. 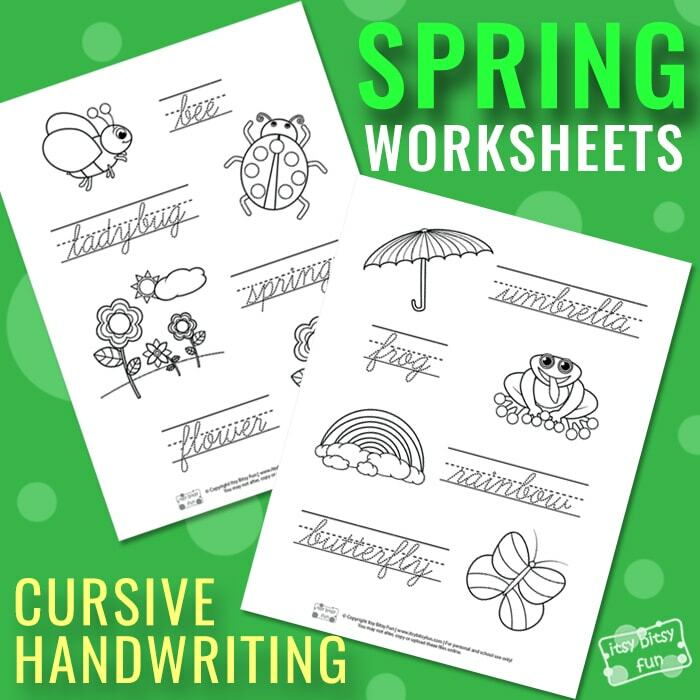 Get your Spring Cursive Handwriting Worksheets here. Do some more fun practice with Grade 1 Reading Comprehension Worksheets and cut the Bugs Scissor Practice Worksheets.